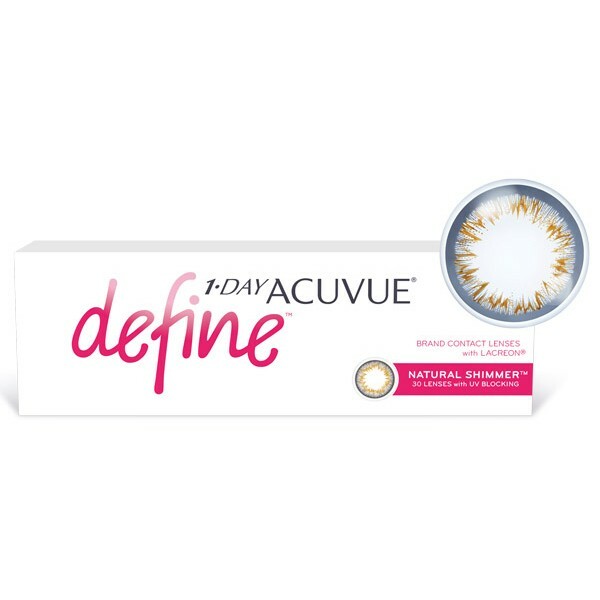 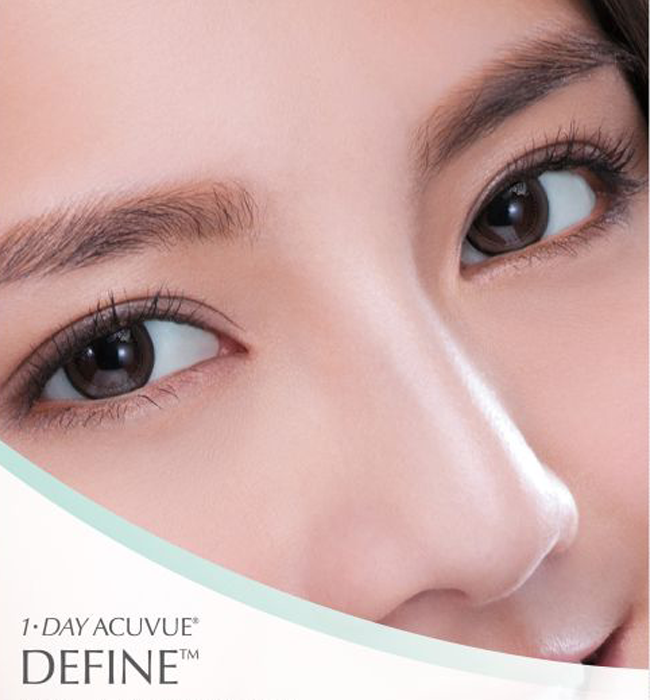 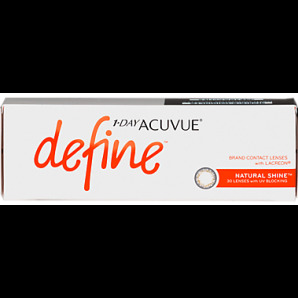 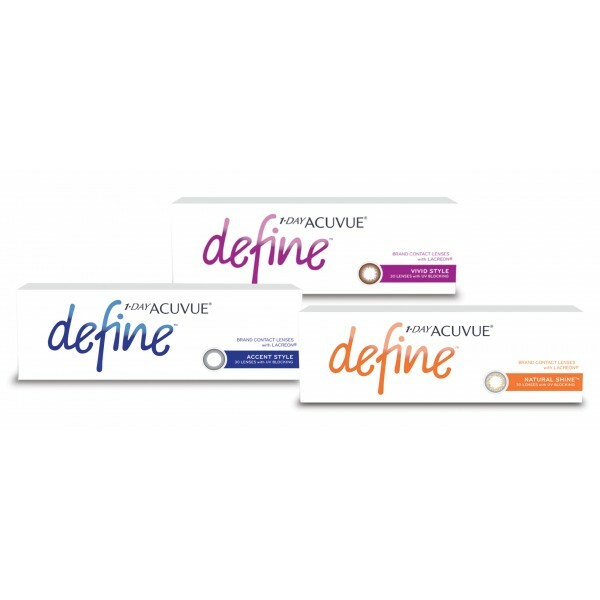 1-Day Acuvue Define contact lenses from Johnson & Johnson are the first daily disposable contact lenses to enhance your beauty in a natural, subtle way. 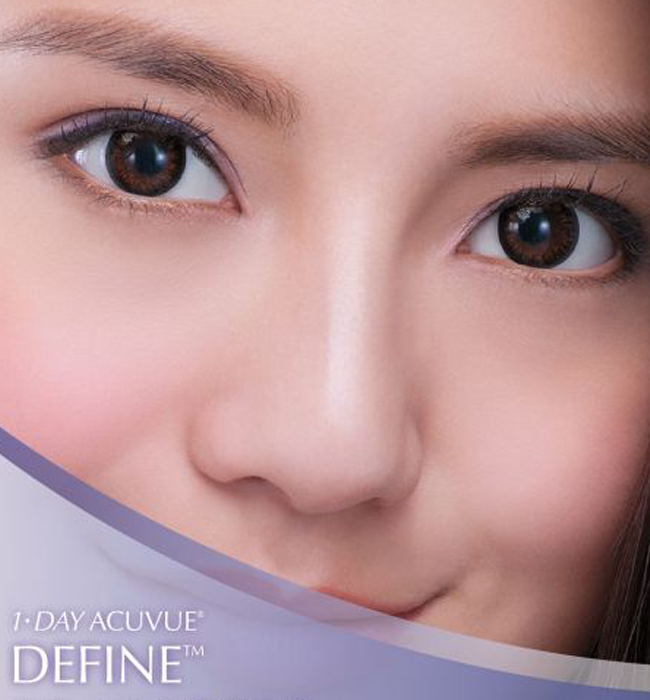 These contacts makes your eyes look bigger, brighter, and more beautiful. 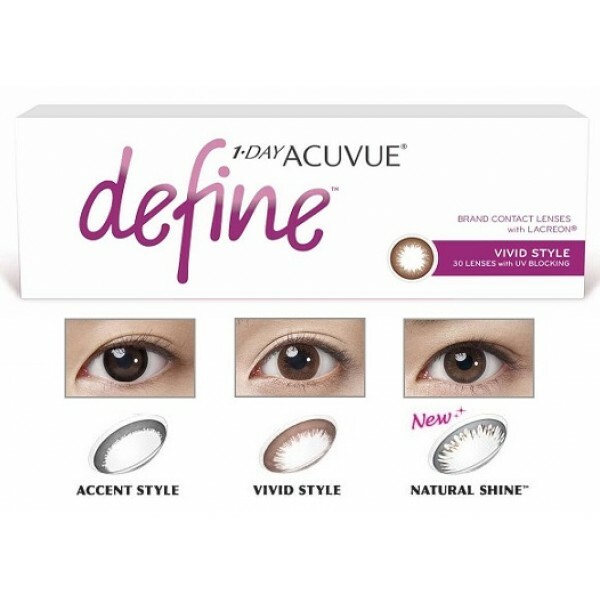 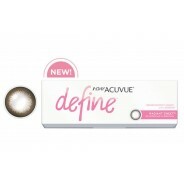 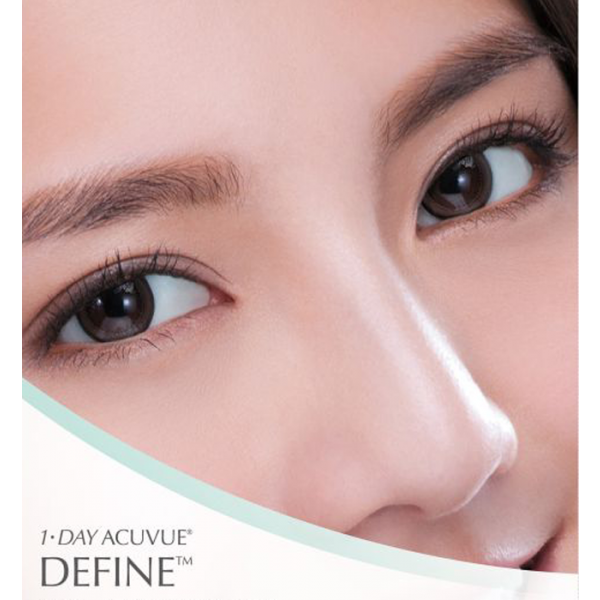 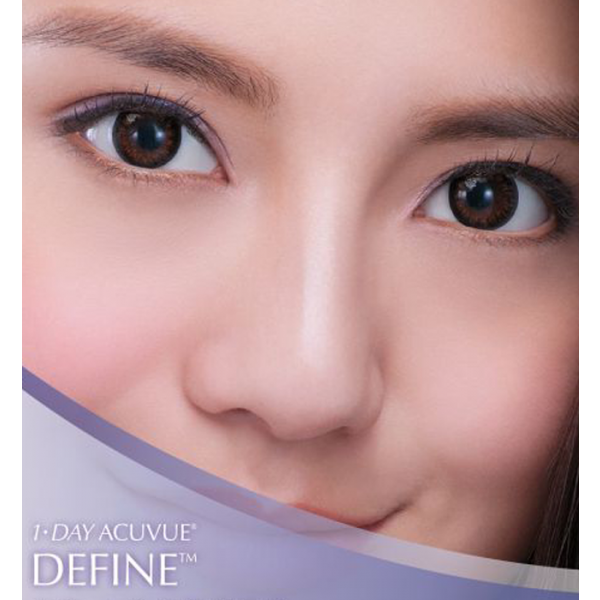 These One Day Acuvue Define features a unique and defined circular ring that enhances and darkens the iris (the colored part of your eye) therefore making your eyes look bigger, brighter, and more defined. 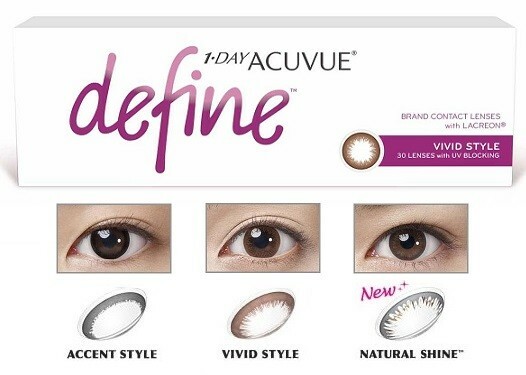 Natural Shine color is a dark grey limbal ring with glittering gold shine giving you eyes that look bigger and glamorous. 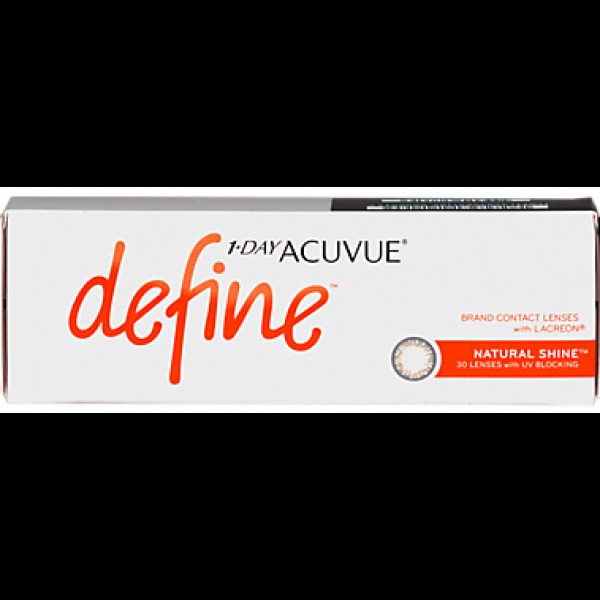 Please note that 1 Day Acuvue Define Brand Contact Lens will no longer available in the NATURAL SPARKLE variant as of June 1, 2018.